Welcome to eZee Insider, keeping you up to date with what’s happening in eZee. In this edition, eZee Centrix upgraded to offer synchronization with vacation rental portals, Hotel Rate Management made easier with eZee’s cloud solutions, and much more. eZee Technosys is one of the leading hospitality solutions provider for over a decade now and over the years, eZee has acquired in depth knowledge of the industry. We comprehend that one of the key factor to efficiently managing day to day operations is to use an accurate hotel management software. Additionally, we understand that hotel industry has the highest figure of employment fluctuations, with the varying season and altering requirement, hotels staff has always been inconsistent. However, it is vital that hotel staff has the most accurate knowledge of the software as to not jeopardize hotel- guest relationship. 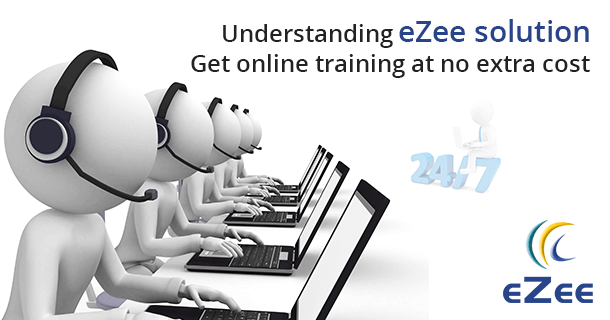 At eZee, we provide online one on one training, where eZee’s training team will assist the hotelier with product implementation and training. Whether the training is for complete product or specific process, our trainer will provide the training as many times as required with no added charge. Furthermore, during the training the team will address to all your queries regarding the software as well as assist you to enhance your business using eZee’s cutting edge solutions. 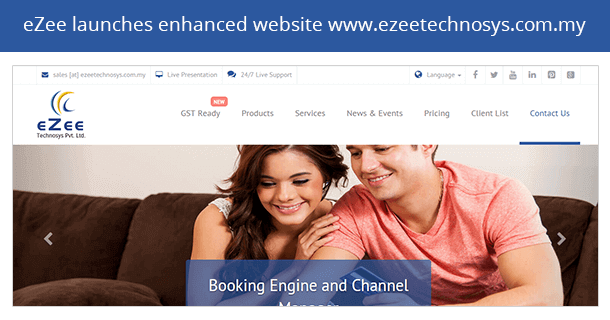 Evolving with the latest technology, eZee Centrix online channel manager has been upgraded to effortlessly interface with various vacation rental portals. Even though the hospitality industry is loaded wide range of tools, the particular sector of vacation rentals is provided very limited choice in terms of technology. Numerous accommodation owners frequently face challenges in distributing their inventory on multiple websites and receiving bookings. As a result of the latest upgrade, eZee Centrix will significantly aid lodging providers to efficiently synchronize Availability Calendar on leading vacation rental websites and up-sale their services effectively. 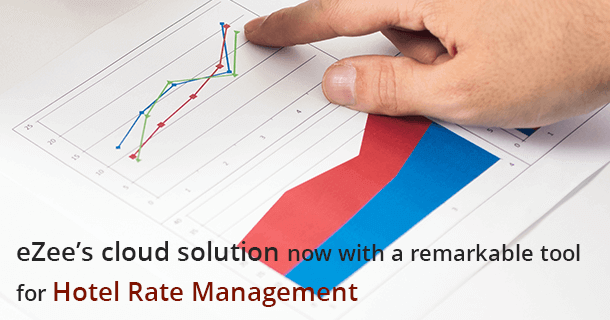 To avail the benefits of our online channel manager, get a 30 days free trial. eZee is delighted to present a new and enhanced website for eZee Malaysia- eZee’s local branch office in Kualalumpur, Malaysia. 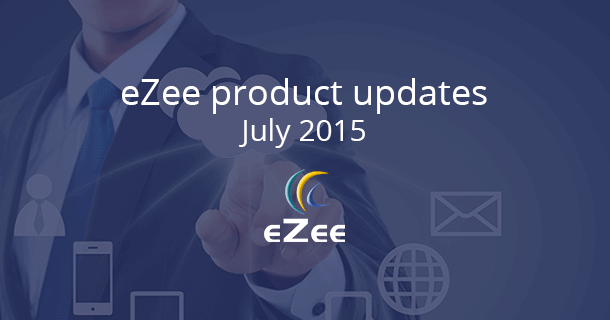 As of 23rd July 2015, www.ezeetechnosys.com.my is live and offers a much more responsive and customer-oriented navigation. As a result of the new website, readers will be able to quickly find the required information from the home page. The detailed and extensive information about eZee and its products will further aid the reader to select the most appropriate solutions suitable for his need. Moreover, the section dedicated to GST compliance in Malaysia will provide an in depth analysis of the impact of GST on the hospitality industry in Malaysia.  Click here to check out the new website for eZee Malaysia. 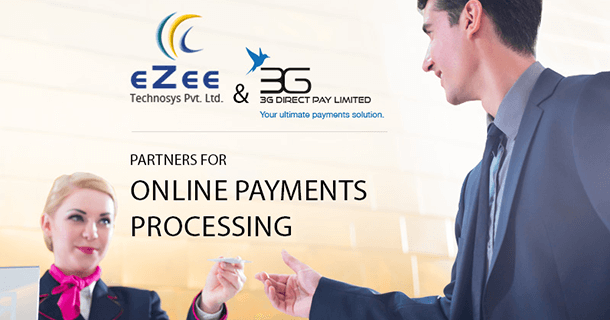 To offer an advanced online booking experience eZee completes integration with 3G Direct’s pay online payments system. Being one of the very few PCI DSS Level 1 compliant payment solutions in Africa, 3G Direct Pay is one of the most highly recommended payment solutions provider in the continent. As a result of the new development, hoteliers will now be able to offer guest an efficient payment portal that will facilitate hoteliers to enhance their services and build up guest relations. Further more, the secure and robust payment gateway will allow hoteliers to effortlessly accept online payments from hotel guest. Additionally, the swift and effortless booking experience will further increase booking conversation. To find out more, a 30 days free trial available for eZee Reservation, click here to download now. In the very competitive hospitality industry, a perfect pricing strategy is the key to yield maximum profit. It is not always important to sell the maximum number of rooms but to sell the correct room at the precise rate. Keeping that in mind, eZee has introduced a revenue management feature in the latest version of eZee Centrix and eZee Reservation. As a result of the new feature, hoteliers will now have a quick access to comprehensive market behavior analysis for an efficiently managing hotel revenue and accelerating returns. Additionally, the new revenue management tool will allow the hotelier to compare competitor hotel prices as well as compare hotel's current pricing approach with previous year's data to evaluate the BAR (Best Available Retail Rate). Adding to the advantage, the system will provide information about all upcoming local events and festivals and aid the revenue manager to enable quick pricing decisions and upsurge revenue growth. To embellish guest engagement, eZee has developed a new automated email function on eZee Absolute and eZee Reservation. This function will allow hoteliers to increase revenue by creating a new platform to interact with guests, prior and post guest stay. In addition, through a pre-arrival email, hoteliers can send a reminder to guest as well as allowing him to customize his stay or even inform him about the local attractions and upcoming festivals in the region. Hoteliers can up-sell hotel services during the guest stay by advising the guest about hotel services, like a newly opened spa or the chef special at hotel’s diner. Subsequently, hoteliers can thank the guest for the stay, request them for a feedback, even appeal them to share their experience of various social media with a post departure email. In addition, he can send special discounts and offers for their next stay. Consequently, this will encourage personalized communication and build guest loyalty. In the ever evolving hospitality industry, keeping up with the latest market trends and changing consumer behavior has always been the hallmark of eZee. We understand that in the competitive hotel industry it is vital to keep upgrading the hotel services to enhance revenue. At eZee we constantly upgrade our solutions adding various innovative tools and features using the latest technology. To aid our hotel clients and partners keep track of the upgrades, eZee is now publishing regular release notes providing detailed information about the newly added tools and features for eZee’s innovative solutions. 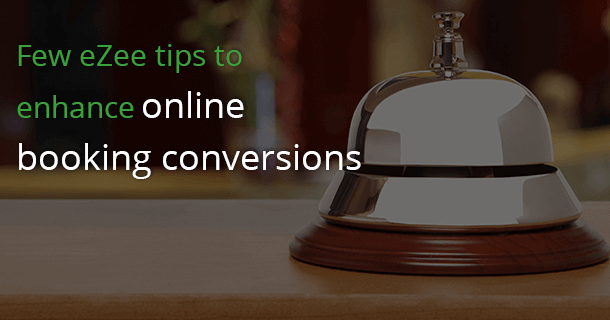 Over the past few years, hoteliers have adapted to various sources to get hotel bookings. Although various studies suggest that more than 20% of hotel’s revenue is sourced from OTA’s (Online Travel Agents), bookings can come from any where. It could be from online travel agents, hotel’s own website or even the hotel’s Facebook page. 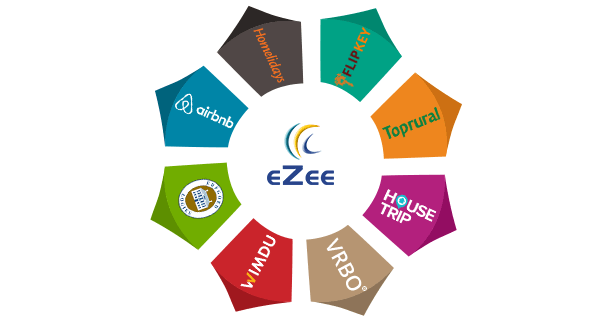 Thus, eZee has accumulated a guideline of do’s and don’t that will help hoteliers receive more booking from the online world. Dazzle your guest with lucrative Visual Content:To enhance online visibility and increase instant gratification, upload various high definition images and descriptive videos displaying the best features of the hotel. Accurate and compelling Room Description:It is essential that you provide a compelling room description, that will extensively describe the room and amenities offered by the hotel. The detailed room and hotel description will enable the guest to make quick and informed booking decision. Optimize room rates and enticing booking packages:The room rates is the most important information the traveler is looking for. In the very competitive hotel industry, the best way to attract more bookings is to offer the most optimized and competitive room rates. Decorate your services and add a little extra: You can appeal to the guest by offering a few complementary add-on like free WiFi or airport pick. Moreover, you can even promote sales by providing enticing deals and packages and get more bookings. Seamless connectivity with distribution channels: Get a dynamic and robust channel manager that provides 2- way XML connectivity between the channels and hotel’s front-desk. The seamless connectivity will result in efficient distribution and diminish the risk of overbooking. Broadcast correct data at right place: Make sure the information you are configuring is in the right place. Displaying room description under cancellation policy is not the correct way to go. Be direct and transparent about hotel policies: Transparency in hotel policies like cancellation and refund procedure helps the booker to have faith in the hotel and make the booking readily. Keep it simple and savvy: Since travelers can be from any part of the world, it is not necessary for all of them to comprehend the English language. As to not confuse the traveler keep the description language simple and straightforward. Avoid using uncommon symbols and unnecessarily terminologies:Avoid using of infrequent symbols like (â€¢) in the room descriptions, rates or policies as they can make it difficult for travelers to understand your content and more often then not it can even lead to traveler abandoning the booking. Don’t ignore a negative review, instead start engaging with the guest: According to many hotel industry experts, one should always respond to an online hotel review irrespective of it being positive or negative. This will minimize the damage and refurbish hotel’s reputation.